Bedfords are proud to support this wonderful event again this year. 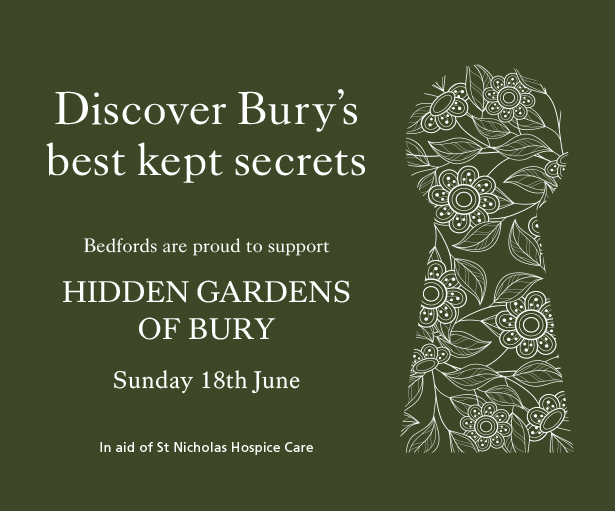 The weather looks like it is going to be lovely on Sunday, so come to Bury and look at some of the beautiful gardens that you wouldn’t know were there, whilst supporting St Nicholas Hospice. For more information and tickets – www.hiddengardens.co.uk.